- Marc Marquez starts from pole for the seventh successive year at the Sachsenring, including for four successive years in the MotoGP™ class. 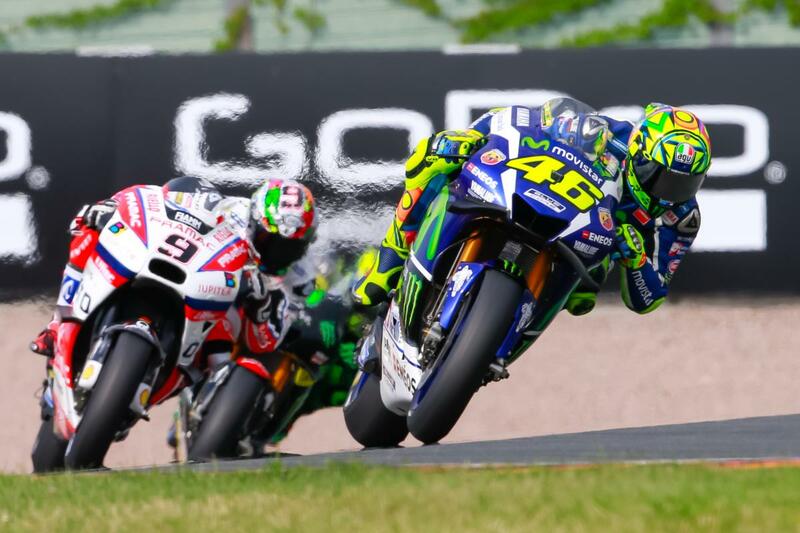 He is aiming for his seventh successive win at the Sachsenring. - Hector Barbera starts from second place on the grid,only his second front row start and his best ever grid position in the top class in what is his 112th MotoGP™ start. 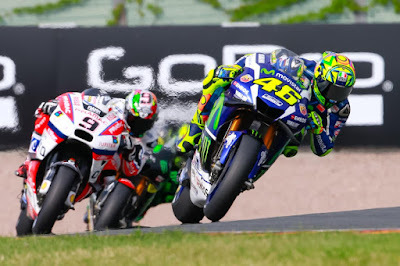 - Valentino Rossi, who starts from third place on the grid,is the last non-Honda rider to win in the MotoGP™ class at the Sachsenring, in 2009. – his best ever qualifying result in MotoGP™. from Independent Teams have qualified together in the top four places on the grid. - In fifth place on the grid is Pol Espargaro, who is currently the leading Independent Team rider in the championship after scoring points in every one of the first eight races of 2016. - Taking the final place on the second row is Maverick Viñales – the best qualifying result at the Sachsenring circuit by a Suzuki rider since John Hopkins was fifth fastest qualifier in 2007. - Heading the third row is Andrea Dovizioso, which is his best qualifying result at the Sachsenring since joining the Ducati factory team in 2013. - In eighth place on the grid is Aleix Espargaro who has failed to finish the last two races; he retired with technical problems in Catalunya and crashed out of the Dutch TT. - Andrea Iannone, who has qualified in ninth place on the grid, was the first Ducati rider across the line last year in Germany, finishing in fifth place. - Heading the fourth row of the grid is Dani Pedrosa, who has finished on the podium seven times in the MotoGP™ class at the Sachsenring, including four victories. - World Champion Jorge Lorenzo starts from down in 11th place on the grid after appearing in Q1 for the first time since the current qualifying format was introduced in 2013. - This is his worst qualifying result since he was the 12th fastest qualifier at the Dutch TT in 2013, the year that he crashed on the first day of practice and broke his collarbone.